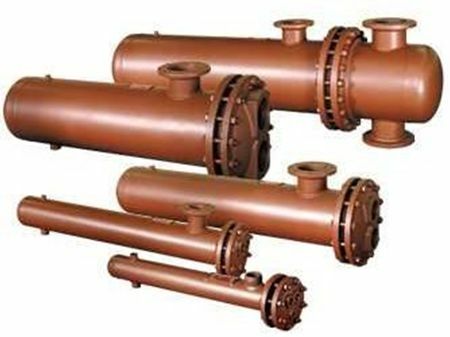 Thrush Co. Inc. manufactures specially designed shell and tube exchangers engineered to meet many applications including heating or cooling liquids for process systems, heat recovery, and comfort systems using steam or liquids. 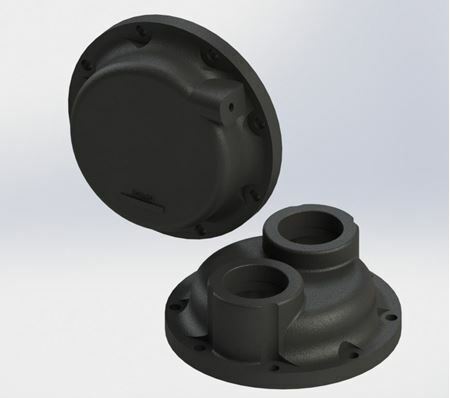 They are available with many variations in material, pressure, temperature, and special features to meet specific application requirements. To ensure safety and optimal performance, all Thrush heat exchangers are constructed under an approved quality control program. Each unit is manufactured, tested, and “U” stamped to ASME Code requirements in accordance to Section VIII Division 1. A Manufacturers Data Report, form U-1, is registered with the National Board of Boilers and Pressure Vessel Inspectors. A copy of the U-1 data report is provided with the unit. Let Thrush Co. Inc. provide you with superior product quality, responsive customer service and on-time delivery today. 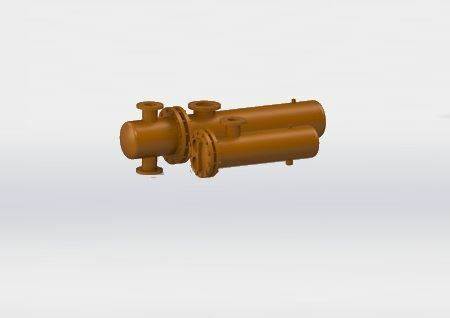 Thrush Co. Inc. manufactures specially designed shell and tube exchangers engineered to meet many applications including heating or cooling liquids for process systems, heat recovery, and comfort systems using steam or liquids. 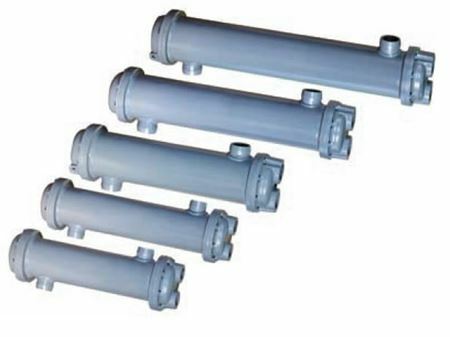 They are available with double wall (leak detector) tubes and many variations in material, pressure, temperature, and special features to meet specific application requirements. To ensure safety and optimal performance, all Thrush heat exchangers are constructed under an approved quality control program. Each unit is manufactured, tested, and “U” stamped to ASME Code requirements in accordance to Section VIII Division 1. A Manufacturers Data Report, form U-1, is registered with the National Board of Boilers and Pressure Vessel Inspectors. A copy of the U-1 data report is provided with the unit. Let Thrush Co. Inc. provide you with superior product quality, responsive customer service and on-time delivery today. 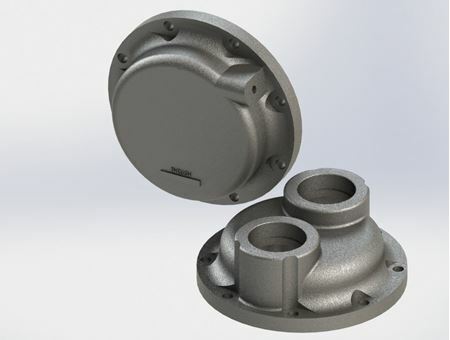 Straitube Thrush Heat Exchangers are designed to give greater heat exchange efficiency. Free circulation in the shell and heaters reduces frictional resistance and pressure drop. Headers are removable. Straight copper tubes make cleaning easy. No acids or chemicals need be used. This is a decided advantage over other types of heaters in hard water territories. Whether the job is heating domestic water, hot water radiation as a converter, cooling or preheating liquids, Thrush Heat Exchangers will do the job well, do the work economically and efficiently. The large sizes of Thrush Heat Exchangers, No 120 thru No. 380 are furnished with ASME and National Board Stamping and certificate. This construction is acceptable in all States having regulations based on ASME Unfired Pressure Vessel Code. 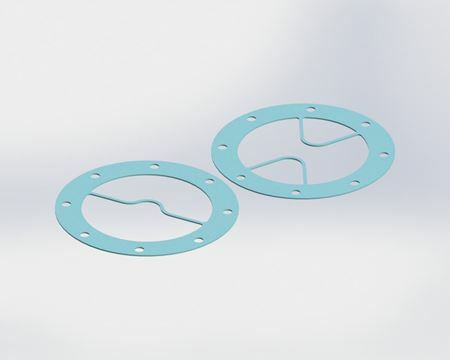 Straitube Thrush Heat Exchangers are designed to give greater heat exchange efficiency. Free circulation in the shell and heaters reduces frictional resistance and pressure drop. Headers are removable. Straight 316 S.S. tubes make cleaning easy. No acids or chemicals need be used. This is a decided advantage over other types of heaters in hard water territories. Whether the job is heating domestic water, hot water radiation as a converter, cooling or preheating liquids, Thrush Heat Exchangers will do the job well, do the work economically and efficiently. All stainless steel construction. All models are furnished with ASME and National Board Stamping and certificate. This construction is acceptable in all States having regulations.